Magiska Dalen: You've got my vote, and for a first timer too. Panther: It looks good, but it just doesn't stick out, no offense. Betri Langskip: Your layout is so unrealistic. The theming looks okay, but your coasters layout and supports need some work. That's all I've got. Heres to a good round! MAGISKA DALEN: Absolut genial! Diese Bilder habe ich mir sehr gerne angeschaut. Die komplette Szenerie sieht wunderschön aus. Die verschiedenen Gebäude sind einfach toll geworden. Auch das Wasser, die Brücken, die Pflanzen - alles sieht richtig gemütlich und einladend aus. Die Achterbahn (Bild 1 - 5 und 8) ist abwechslungsreich gestaltet, und sie ist auch gut in die Szenerie eingebettet. Du hast dir für dein Debüt sehr viel Mühe gegeben! Diesen Park würde ich gerne besuchen. PANTHER: Eine abwechslungsreiche Holzachterbahn. Deutlich weniger Gebäude und eine hügelige Landschaft. Auch nicht schlecht. BUZZARD COUNTRY MINE TRAIN: Eine schöne Minenbahn. Der Eingangsbereich, die felsige Landschaft, die unterschiedlichen Brauntöne und die vereinzelten Nadelbäume ergeben eine harmonische und passende Szenerie. BETRI LANGSKIP: Habe ich richtig gezählt - 24 verschiedene CS-Sets??? Welch' ein Aufwand! Die Wikinger-Thematik ist dementsprechend abwechslungsreich gestaltet. Leider kann ich auf den Bildern die Achterbahn nicht komplett erkennen. Das Ding sieht jedenfalls sehr verrückt und brutal aus. Spätestens im Video wird jedoch klar, dass die Fahrt für deine Besucher garantiert im Krankenhaus oder sogar auf dem Friedhof endet. Weil du hier zwei komplett unterschiedliche Achterbahn-Typen vermischt hast. Die Schienenführung passt teilweise zu einer klassischen Achterbahn, teilweise zu einer Hängeachterbahn. Du hättest dich entscheiden müssen! All beautiful builds, but my hats off to Magiska Dalen... it has a terrific feel. Can't wait to take a tour. They' re all really great entries! Quite fond of this round to be honest! I get what The Coaster Creator means with 'Panther' and 'Buzzard County Mine Train' being rather pale though. Nevertheless, I like them. Regarding 'Betri Langskip': I acknowledge the effort you 've put into the theming of the ride and its surroundings, but the support work definately needs some revision. 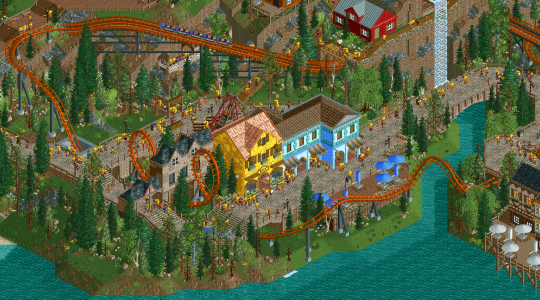 I'm going with 'Buzzard County Mine Train'. Those mine train coasters deserve more love. Wow, what a great showing this round! Can't wait to check these out later and vote! MAGISKA DALEN: Absolutely brilliant! I really enjoyed watching these pictures. The complete scenery looks beautiful. The different buildings have just become great. The water, the bridges, the plants - everything looks really cozy and inviting. 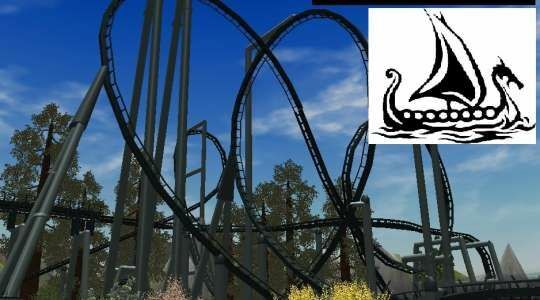 The rollercoaster (picture 1 - 5 and 8) is diversified, and it is well embedded in the scenery. You made a lot of effort for your debut! I would like to visit this park. 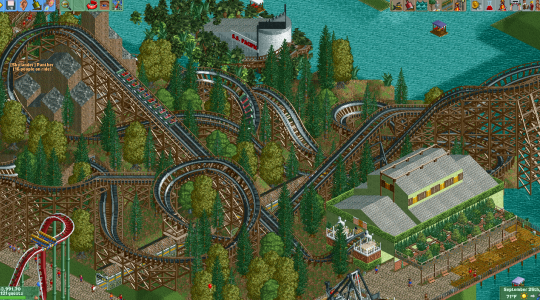 PANTHER: A varied wooden rollercoaster. Significantly less buildings and a hilly landscape. Not bad either. 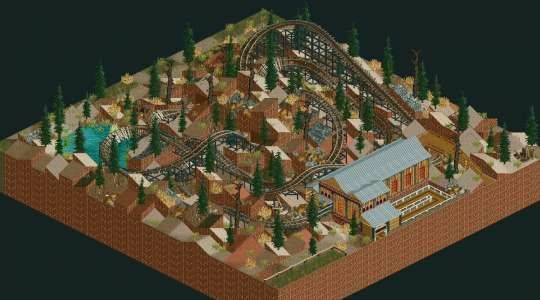 BUZZARD COUNTRY MINE TRAIN: A nice mine train. The entrance area, the rocky landscape, the different shades of brown and the occasional coniferous trees create a harmonious and suitable scenery. BETRI LANGSKIP: Did I count correctly - 24 different CS sets? What an effort! The Viking theme is accordingly varied. Unfortunately, I can not completely see the rollercoaster on the pictures. The thing looks very crazy and brutal anyway. At the latest in the video, however, it becomes clear that the journey for your visitors is guaranteed to end in the hospital or even in the cemetery. Because you mixed two completely different coaster types here. Part of the track layout is a classic roller coaster, sometimes a suspended roller coaster. You should have decided! A good round in the sense that all are finished entries, a couple could really use more work though. Magiska Dalen: Wonderful work on this one, not much to really say CC wise. The custom ferris wheel looks really good. Panther: If this is a recreation of one of the title screen reel rides for ORCT2, then I'd say you've done a great job. If not, you've still done a great job on the layout. The landscaping could use a little work, particularly with the painting as it looks like you've used muddy grass for 90% of the ground textures. Adding ground scrubs/shrubs/bushes clustered on the ground here and there would really help to improve the look of the area as well. Buzzard County Mine Train: At first I was rather unimpressed by this ORCT2 mine train, upon closer inspection there are a lot of small details put into the landscape that show this was crafted with care and is a pretty solid project. Betri Langskip: I could copy and paste my CC from the Splash Boat Battle in last round and almost everything would be relevant here as well. On one hand, you've done tremendous work with the station and good work with the foliage (underbrush and bushes would really make it great), but that's where the positives start to stop. Support work is lacking flanges and connectors, part of which is a nitpick and the other causes the supports to poke through the track (rather noticeably at parts). As already stated the layout is really unrealistic so I won't really go on about that. Voted for Magiska Dalen in the end, with the Buzzard County Mine Train coming in at a close second. Best of luck to all of our contestants this time!